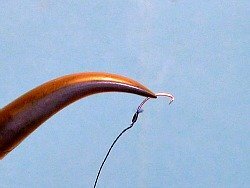 You might never need Micro Fishing Hemostats, but then again, you might if a small fish takes your small hook a bit deeper into it's small mouth. 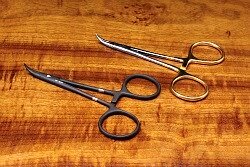 The bulky hemostats you use for trout fishing or needle nose pliers you use for bass fishing might not fit in the little guy's mouth. 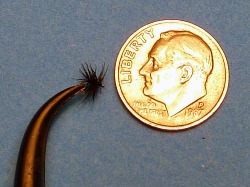 These have particularly small tips, which makes them ideal for micro fishing. You will find them wonderfully helpful for holding the extremely tiny hooks while trying to bait them with the smallest speck you can cut from a worm. Domestic shipping is $3. Most small items can be shipped together for a flat $3 charge. International postage is more expensive. For international shipments, please click the button below which adds the appropriate amount in addition to the basic $3 charge.